We took a refreshing trip up a scenic river in Jonathan Dickinson State Park. It was the high point of the trip for Kelly. 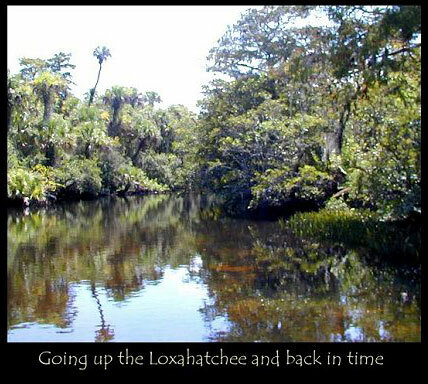 The Loxahatchee is a wild and natural river that winds its way through the park, passing under a canopy of centuries-old cypress trees. The river has an untamed beauty and flows from a fresh water environment, through a blend of temperate and tropical vegetation, to mangrove lined banks and brackish water as it nears the ocean. We could easily imagine how the early explorers felt as we made our way deeper and deeper into the wild of that river that has remained virtually unchanged.